Copenhagen, Denmark is one of those cities where you could easily spend weeks exploring. With beautiful canals, castles, gardens, and a world-famous amusement park, there are so many things to do in Copenhagen with kids – or even as a solo traveler. Copenhagen was a city I had dreamed of visiting for years, so naturally, I had high expectations when we arrived. 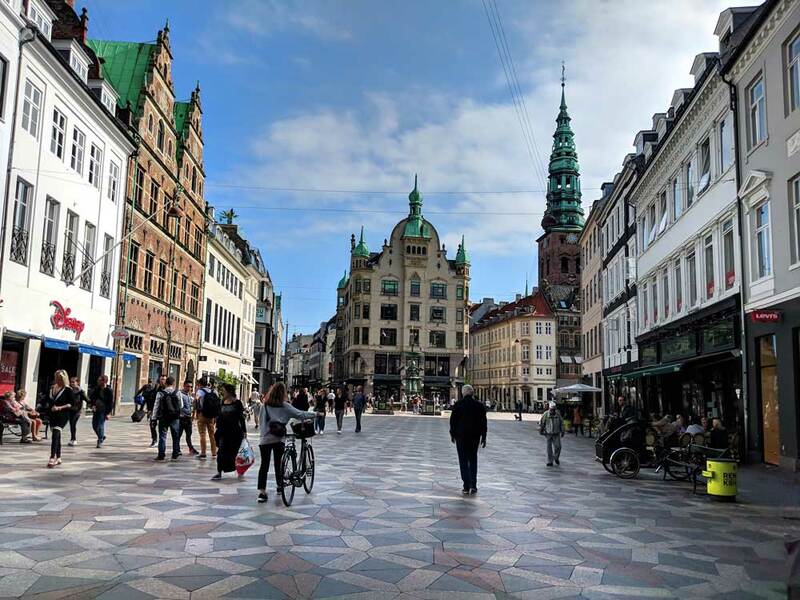 Luckily, unlike a lot of places that don’t always live up to the hype, Copenhagen exceeded even my colossal hopes, and left me wishing we had more than 2 days in Copenhagen to explore. We visited Copenhagen as part of a multi-city trip to Scandinavia. It was the first stop on our 3-country tour of Denmark, Sweden, and Norway. The weather was perfect, with blue skies and temperatures higher than the seasonal averages. Although it was off-season, tourists and locals were taking advantage of the amazing weather and were out exploring, enjoying the parks, and in true Copenhagen style, cycling everywhere! We stayed three nights but spent the first day recovering from jet lag and relaxing, so that left us with 2 days in Copenhagen to sight-see. Plan to start your days early and be prepared, this 2-day Copenhagen itinerary is jam packed! To save time and money, invest in the Copenhagen Card. It is well worth it! RESERVE YOUR COPENHAGEN CARD HERE. Like I said, there are a lot of things to do in Copenhagen with kids, and you will squeeze most of them into day one. We walked everywhere on day one, and took free shuttle buses to the Denmark National Aquarium and Carlsberg Brewery on day 2 in Copenhagen. (Yes, the brewery is kid-friendly and fun for all ages! 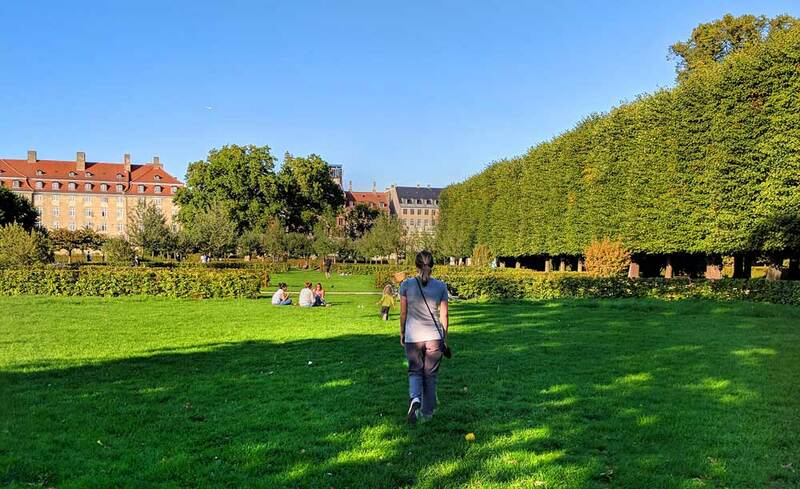 We provide a short synopsis below of all of the activities we did during our 2 days in Copenhagen, but first here’s a look at our Copenhagen itinerary. One of the most important things when planning a 2-day stopover in a new city is to choose centrally located accommodations. We stayed at Steel House Hostel. (Yes, staying in a hostel is doable with kids.) Steel House Hostel is conveniently located near the Central Train Station (Kobenhavn H), which is right next to Tivoli Gardens and within walking distance to a lot of the main attractions. 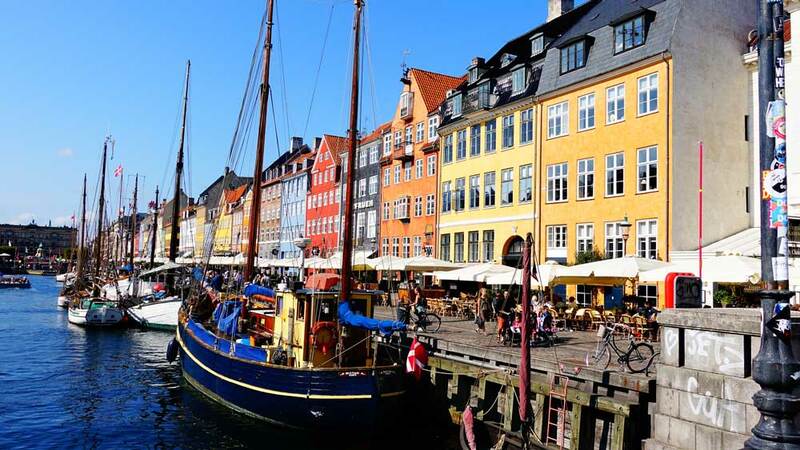 COMPARE HOTELS IN COPENHAGEN AND READ TRAVELERS’ REVIEWS HERE. 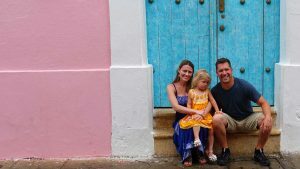 When traveling with kids, finding activities that are interesting and fun for both adults and children can be difficult. But this Copenhagen itinerary has something for everyone. The whole family will fall in love with Copenhagen in just two days! Strøget is Copenhagen’s bustling pedestrian shopping street. Along the street in the heart of Copenhagen, you’ll find a wealth of stores selling Denmark souvenirs right alongside storefronts for some of the most expensive international brands. This is a great place to window shop, grab a bite to eat, or relax with an ice cream or cup of coffee. Kids will find plenty of entertainment along the way. Occasional street performers and a variety of toy stores and sweets shops make the Strøget a family-friendly experience. 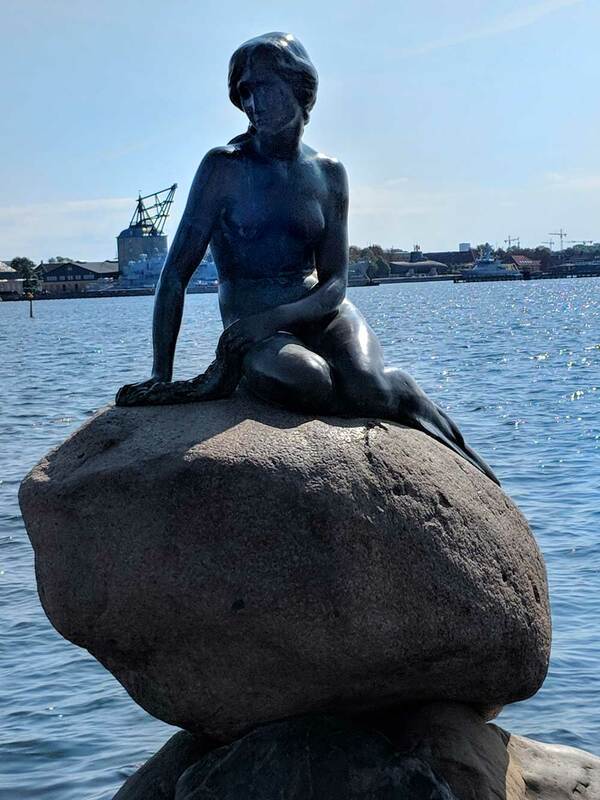 If you’ve researched Copenhagen at all, you’ve probably already heard of its most famous resident, the Little Mermaid, or Den lille Havfrue, in Danish. The Little Mermaid is kind of like the Mona Lisa. I’m not sure why she’s so famous. The bronze statue is only 4 feet tall, and there is nothing really impressive about her. But it’s still one of those things to do in Copenhagen that is a must for any itinerary. For no other reason than to say you’ve seen her, go visit the Little Mermaid. The statue sits on the canal in a less-than-convenient area, but if you have extra time you can also visit Kasstelet while in the area. It is free to enter and is one of the best-preserved fortresses in Europe. Every day at noon, a special ceremony occurs at Amalienborg Palace. The changing of the guards is a fascinating look at royal customs and practices. 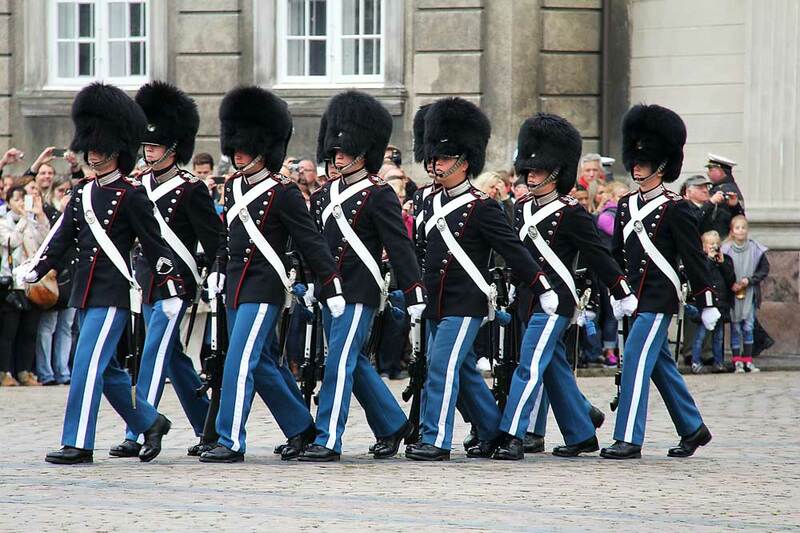 The guards leave Rosenborg Castle at 11:30 making their way to Amalienborg Palace around noon for the daily ceremony. Amalienborg Palace is the home of the Danish royal family. When the monarch is there, the guards are accompanied by a marching band. We enjoyed the pomp and circumstance of the ceremony, but it’s also a great place to people watch. A couple of officers managing the crowd of onlookers kept people out of the road as the guards march to the palace. Afterwards, they motioned to the crowd to indicate people could come closer once the ceremony started. And come closer they did. At first, walking, and then breaking into a jog the crowds advanced forward to get a good spot in front. It was interesting, to say the least. Nyhavn is the most iconic and photographed street in Copenhagen. It’s easy to see why Nyhavn is such a hot spot. With brightly colored buildings and large sailboats lining the canal, it’s a perfect place to spend a leisure afternoon. One of the best ways to experience Nyhavn is on a canal tour. The boat not only takes you through the beautiful canal but around to other sights like the Little Mermaid, which gives you a view of the 4 foot statue (and all the people taking pictures of it) from the water. My husband and I have somewhat of an unspoken arrangement when we travel. I visit breweries with him, and he visits palaces and castles with me. I have to admit, I am enamored by all things royal. Perhaps it’s because I live in the United States where a monarchy is a foreign concept. But for whatever reason, if there is a palace or a castle in a city that I’m visiting, I’m going to tour it! 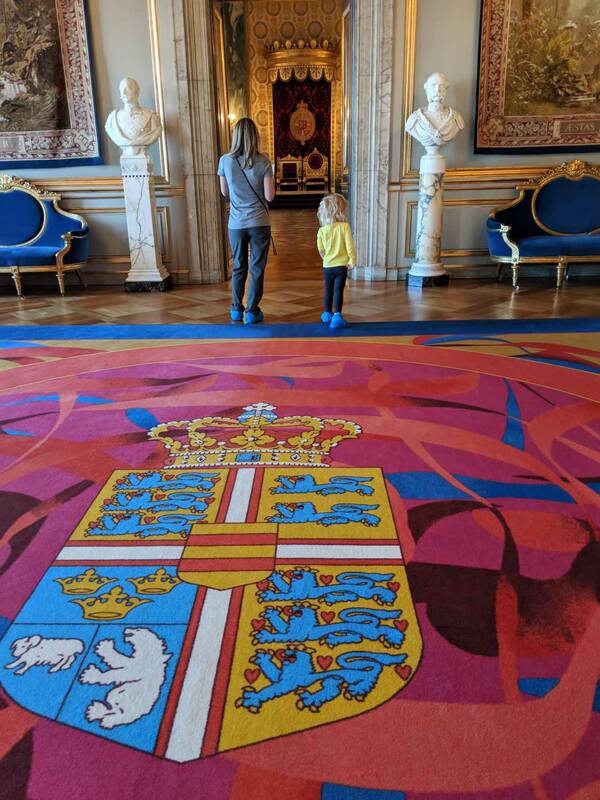 At Christiansborg Palace you can tour the Royal Reception Rooms where foreign ambassadors are received by the queen. Christiansborg Palace is also where they host official state dinners. But there is more to Christiansborg Palace then the grandiose reception rooms. If visiting Copenhagen with kids, the most interesting part of the palace will be the ruins. 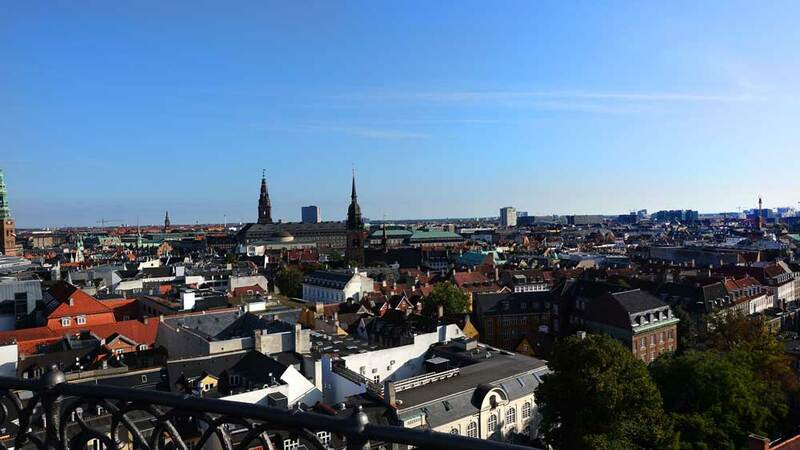 The Round Tower, also known as Rundetaarn, is a 17th century observatory that offers great views of Copenhagen. The get to the top requires walking up a spiraling ramp that is just as picturesque as the views from the top. Climbing the Round Tower is a great way to help little ones burn energy. We visited in the off-season, the observatory was not that crowded, so our toddler gleefully raced down the spiraling ramp, laughing the whole way. King’s Garden, often referred to as Rosenborg Garden, is a beautiful green space at the entrance to Rosenborg Castle. When the weather is nice, you will find locals lounging in the cool grass and crowds gathering together to enjoy the outdoors. The royal gardens are the country’s oldest., established in the early 1600s. Take a stroll under a canopy of trees, let your children run around in the safe, fenced-in area, or take them to the adventure playground to explore. It’s a perfect way to break up a long day of sightseeing! While taking in the beauty of King’s Garden, visit Rosenborg Castle. 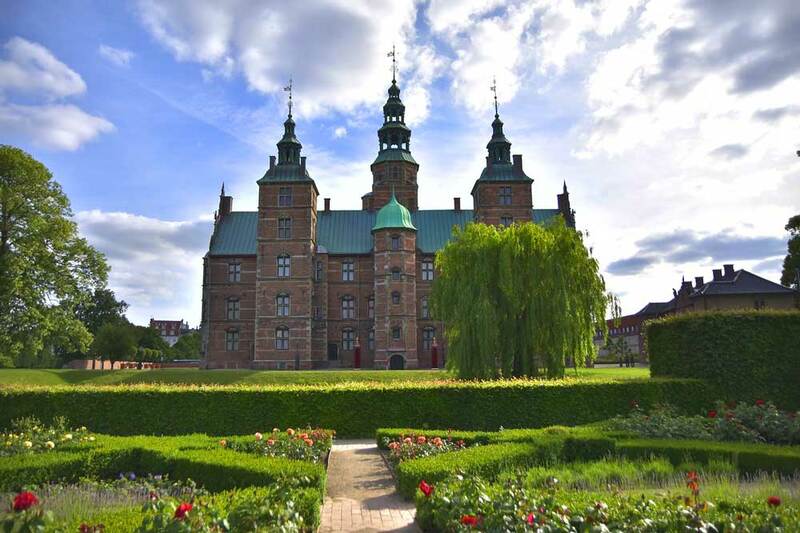 The 17th century castle is well-preserved and houses the Danish crown jewels. It’s an interesting museum showcasing the royal history of Denmark, and doesn’t take very long to tour. After a long day, it’s always nice to sit and eat a great dinner, look through your photos and relax. One of the best places to grab a bite to eat is Torvehalerne fresh market. 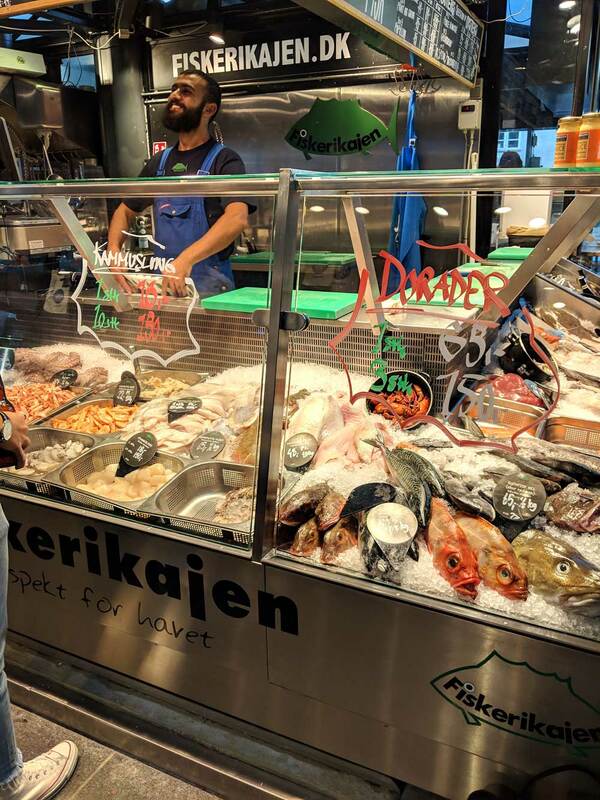 Food truck vendors sell everything from craft burgers to tacos, making it perfect for the picky little eaters in your family who won’t want any of the amazing seafood dishes for which Scandinavia is famous. Walking around the market is also fun. Our daughter loved seeing the live lobsters and the variety of massive fresh fish that were recently caught and ready for purchase. 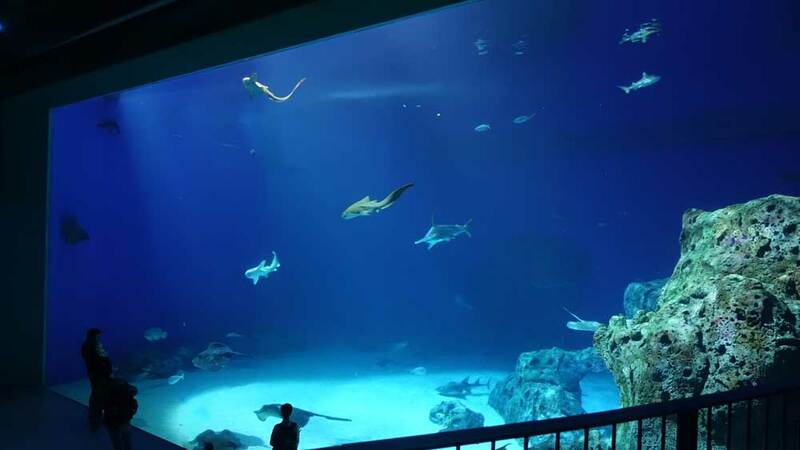 The Denmark National Aquarium is a great place to spend a few hours exploring life under the sea. The aquarium is broken up into different areas. See what life is like under the ocean, in the rainforest, or in Nordic rivers. Sea otter, sharks, piranhas, and an octopus are some of the main highlights at the aquarium. A free shuttle bus takes you to the Denmark National Aquarium from the Central train station every hour and 15 minutes. Nothing brings people together more than a cold beer in a foreign town. It’s true. Europeans love their alcohol. Dublin has Guinness. Munich has Hofsbrau. And Copenhagen has Carlsberg. If you want to get to know a culture then you need to know what they drink. And if you’re in Denmark then it’s a guarantee that you’re drinking a Carlsberg. Touring the Carlsberg Brewery is a family-friendly experience. Kids will especially love visiting the Carlsberg horse stables and petting the horses. Adults will love the free beer with admission! We actually visited Carlsberg Brewery on our first afternoon in town. We had a few hours before we needed to head back to the hotel and crash for the evening, so we headed to the brewery for a relaxing afternoon. It was a great way to spend our first few hours in Copenhagen. 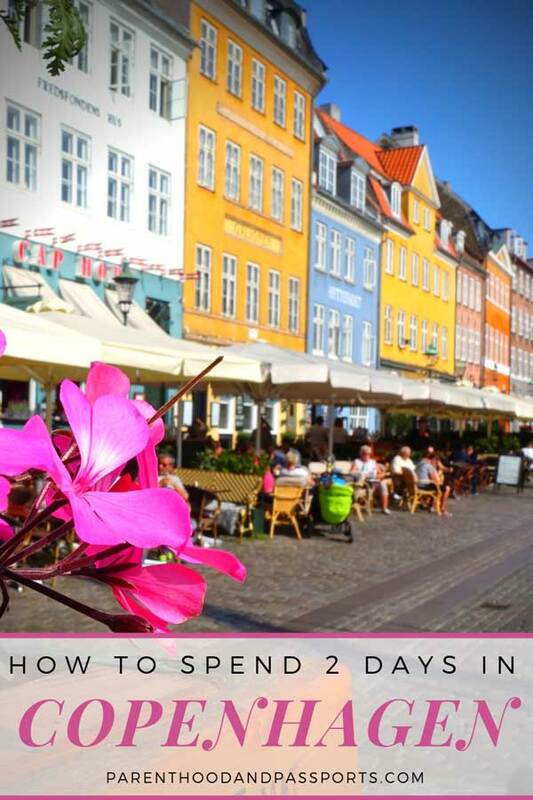 You could do the same, or squeeze it into day two of a 2-day Copenhagen itinerary. There is a free shuttle bus that leaves from the Central Train Station that makes it easy to get there and back. A must-visit attraction for anyone visiting Copenhagen with kids or without, Tivoli Gardens is magical! I am not typically a fan of amusement parks or roller coasters, so I was on the fence about visiting Tivoli Gardens. But I’m so glad we did. 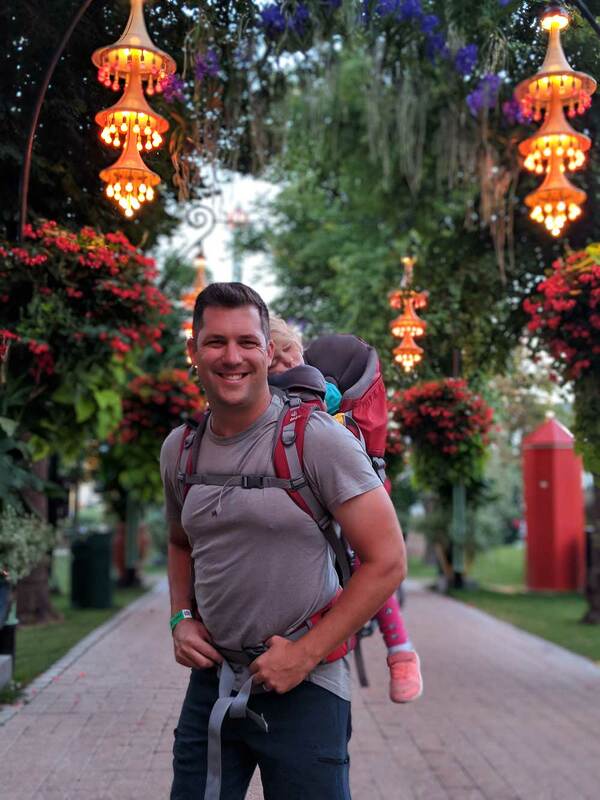 Not only are there a ton of rides at Tivoli Gardens that even toddlers and small children can go on, but the gardens are stunning. Tivoli Gardens was the highlight of the entire trip for our daughter and an experience I know she will never forget. We spent half a day at Tivoli Gardens, and left with an exhausted but happy toddler. Is 2 days in Copenhagen enough? This is always a tough question to answer about any city. You can definitely hit the highlights of Copenhagen in 2 days, but if you have more time I would highly recommend staying longer. Giving yourself more than 2 days in Copenhagen allows you to explore things at a slower pace, spend more time lingering, and visit more of the incredible museums and child-friendly places in Copenhagen. But I also realize that many people, like ourselves, have limited time off from work, and want to see as they can in a short amount of time. 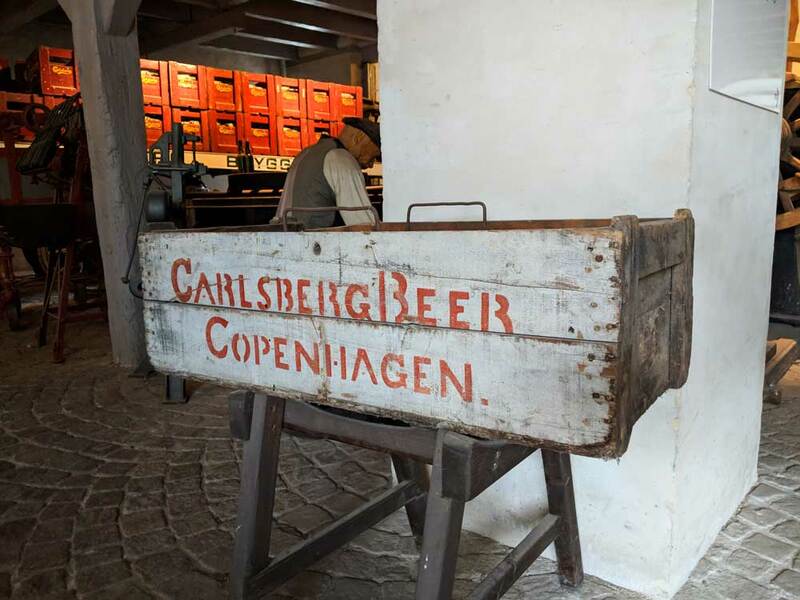 While this Copenhagen itinerary should help you make the most of 48 hours in Copenhagen with kids, if you have more time to spend here, you will find plenty of things to do in Copenhagen to keep you and your children entertained. 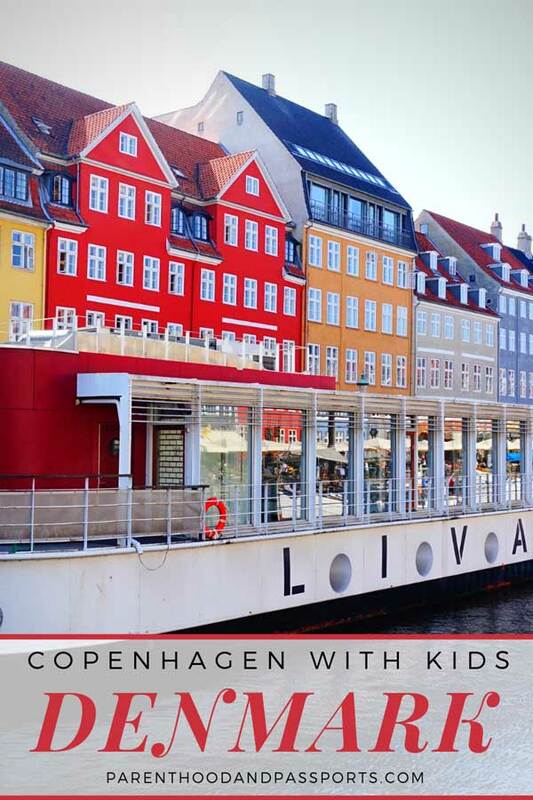 Have you been to Copenhagen with kids? What were your favorite attractions in Copenhagen? 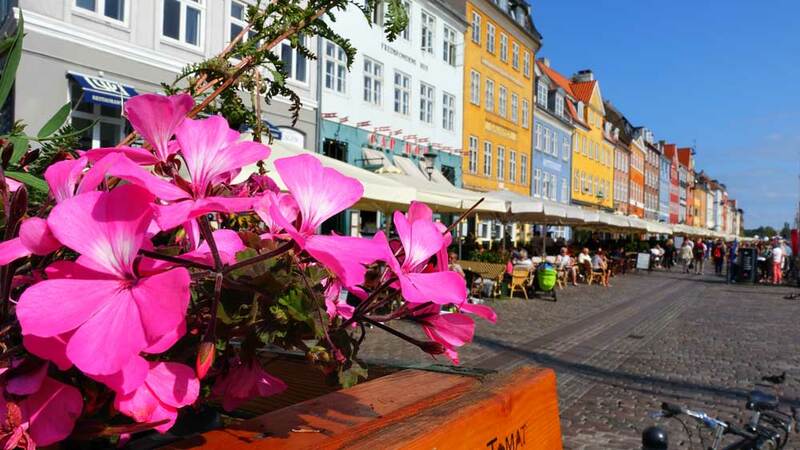 Is there is anything else you would add to this 2 day Copenhagen itinerary? Let us know in the comments below! I’ve not been to Copenhagen – Love to go! We did Stockholm last year so definitely on my list. I’m from Copenhagen and I definitely think you should spend more than 2 days here! 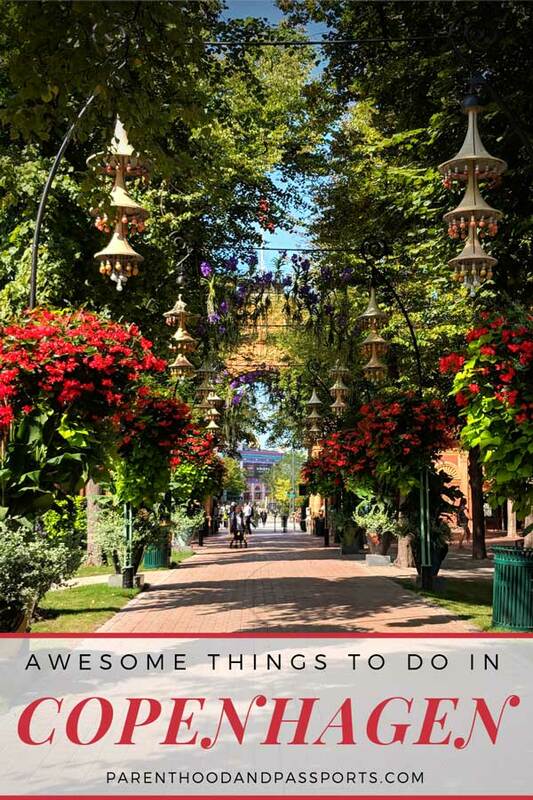 There is so much to do and see and so much food to try if you haven’t been! You should come back for round 2 someday! Great post! There is SOOOO much to do! I was actually quite surprised by all the great things Copenhagen had to offer. You could easily spend weeks there and have plenty to do. Great article! Will add it to our “to visit” list for next year!